Choose Preferences. Then click Advanced and check on the box beside "Share iTunes Library XML with other applications". Step 3. Launch M4V Converter to have a try. If still you can't find any M4V video in converter, please drag the M4V files to the converter directly from your file folder. This file contains some (but not all) of the same information stored in the iTunes Library file. 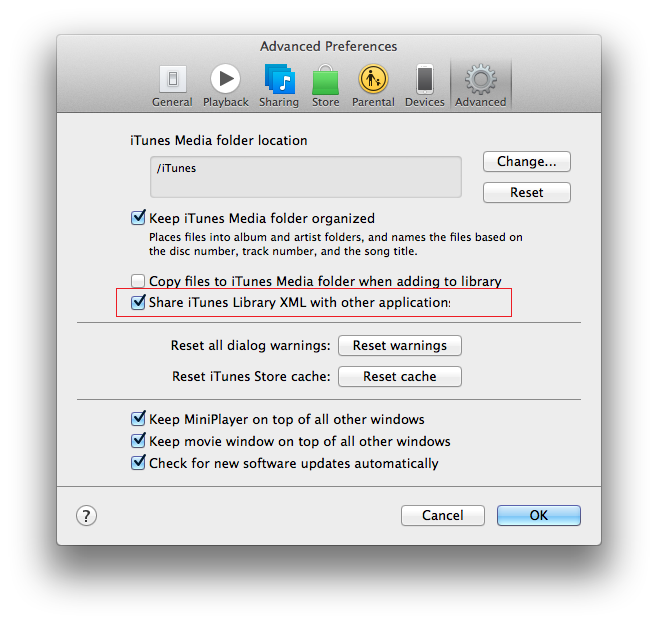 The purpose of the iTunes Library.xml file is to make your music and playlists available to other applications on your computer.